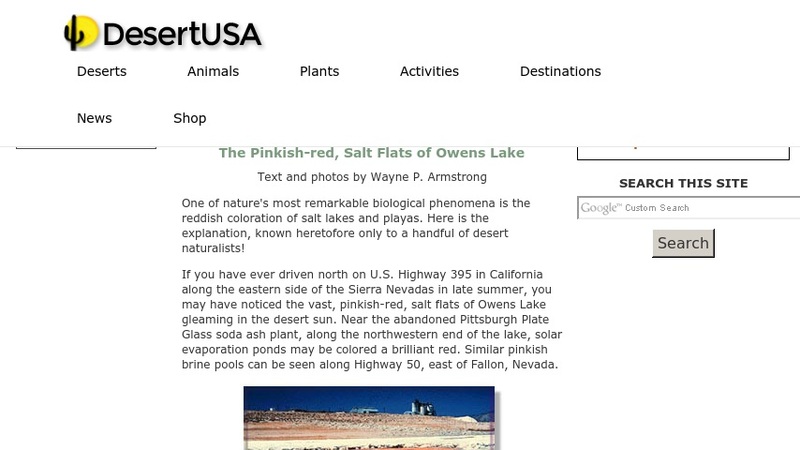 Why Owens Lake is Red! This article explains the biological phenomena of reddish-colored salt lakes, such as Lake Owens, and playas. Applying colorful images and geological history, the author describes the processes by which astronomical numbers of microscopic, unicellular organisms living in the water and salt crust can cause the red coloration. Descriptions also include the ability of halophilic microbes to withstand high salt concentrations and other extreme conditions.